Specializing in all areas of bad faith insurance litigation and insurance related matters, including personal injury and wrongful termination. A law firm with unparalleled experience and expertise in suing insurance companies in both State and Federal District Courts. Trial lawyers who are known by insurance companies for aggressively seeking optimal results for their clients. Lawyers who have the experience, expertise and resolve to take your case to trial if necessary to achieve the best result for you and your case. Trial lawyers who will not compromise the value of your case by combining it with other cases for a fast but undervalued settlement that would not be in your best interest. Trial lawyers who handle your case on an individual basis, giving your case the time and attention to detail it deserves. 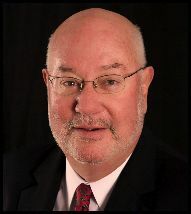 Trial lawyers and an experienced legal staff who sincerely care about you and your case. 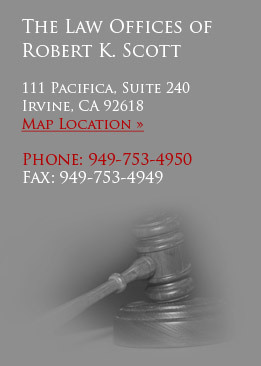 The Law Offices of Robert K. Scott has obtained multi-million dollar judgments, favorable appellate decisions and arbitration awards, as well as substantial out of court settlements on behalf of its clients. Our goal is to vigorously fight to protect your rights and to achieve maximum results for you. We encourage you to contact us for a free consultation. Our friendly and knowledgeable staff will give you the time and attention your case deserves.